Completing its trilogy of ads with BBH, we have collaborated on ‘Economy Drive’, the third and final spot in Audi’s latest TV campaign, this time directed by NE-O. 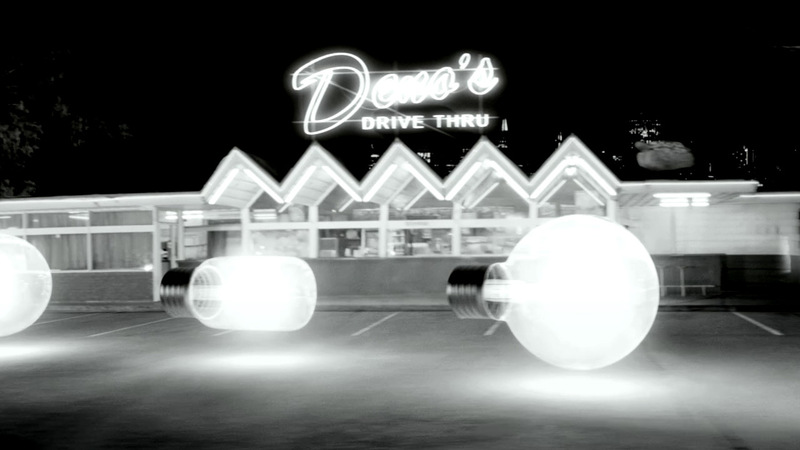 Shot on 35mm in black and white the commercial follows a light bulb as it travels from Sydney city centre to the suburbs, the hero light bulb representing an Audi to illustrate its new stop/start technology. A Spheron camera was used to take 360 degree Spheron maps of the locations allowing us to recreate the geometry and lighting conditions of the set in 3D with maximum precision. Tom Bussell led a team of five 3D artists who modelled, textured, animated and rendered seven different light bulbs whilst a team of shake and flame artists, led by Mike Outlaw, also worked on over 30 shots. Mike composited all of the bulbs into the plates and created the realistic glows around them to match reference stills the directors had shot. Finally, Colourist Adam Scott applied a master grade to the final HD data picture. A lot of contrast was added along with a subtle duo-tone that director NE-O had specifically cited as a colour guide. Adam said: "This look gives the film an interesting quality whilst keeping the clarity that you always expect from Audi."